Which John Scalzi Novel Should I Read First? “addicted to heroine” is the best typo ever. A strong well-written heroine can indeed make a novel more addicting! Can’t resist sharing Kate Beaton’s take on the Brontës. Sounds like a very cool idea! I am so excited for this! Baby Brontës playing in a universe of their own making? Yes, please… Thank you so much for writing this book! I know about the Brontës’ fantasy world because I read and loved a book by Pauline Clarke written in the 1970’s. In THE RETURN OF THE TWELVES a family moves into a house that belonged to friends of the Brontës and find, hidden in the house, the Brontës’ twelve wooden soldiers. The soldiers slowly come back to life– animated by the new “genii” as they call the children. The soldiers first explain their history and then decide that they want to embark on a march back to their home in the Parsonage. 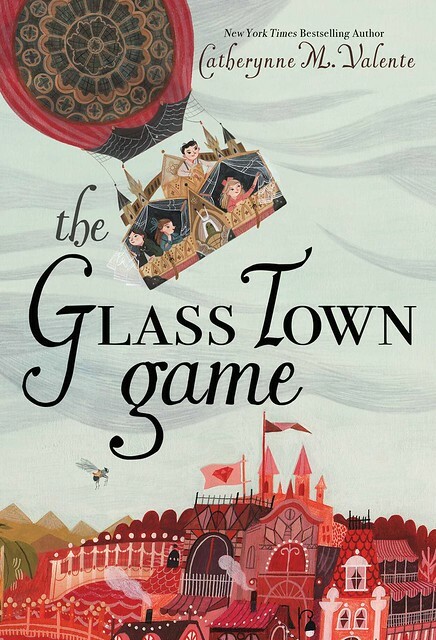 I *love* the idea of revisiting this world with Valente and can’t wait to read the excerpt of The Glass Town Game. On my way there right now . . . Rats! I was dashing to leap in with the Twelve, only to find that ~mwt got there before me. Regardless, they’re perfectly right, and The Return of the Twelves (UK title: The Twelves and the Genii) is delightful, and served to introduce me to the Brontës at an age when I was in NO danger of tackling their adult works. Hah, I’m another lover of the Twelves by Pauline Clarke! I just read it while waiting for The Glass Town Game, in fact. I’m so excited that now there’s another book playing with those games, and one that gets deeper into the history of the games, no less… Cat, you’re fulfilling my desire for books that I didn’t even know I wanted. I never know what you’re going to write next, but I’m always so thrilled when you do!